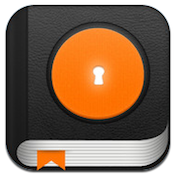 Safe Diary is an iPhone app developed by Avvotek Ltd. It boasts encrypted passcode security to keep your private thoughts private. 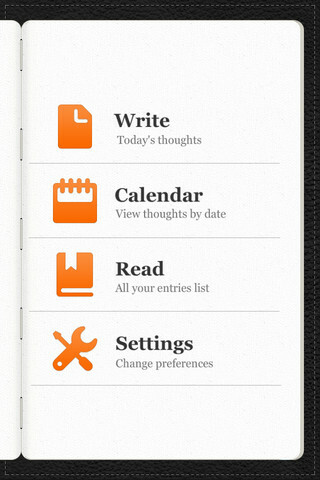 But one thing that separates Safe Diary from a lot of other password-secured apps for writing down your most personal thoughts is the design. 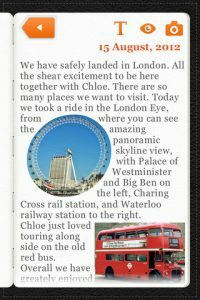 Safe Diary smartly wraps text, allows you to insert images, and has a great page-turning visual element that makes your private diary look like a professionally-made book. It’s possible to simply read through your entries, but I also appreciated the fact that you can use a calendar view to find diary entries from the past with ease. Also nice: you can pull photos from your Camera Roll, or from the web. Also nice: the variety of options for backing up your diary: email (sends as a .zip file), iTunes, or iCloud. It is worth noting that there have been some disgruntled customers. One App Store reviewer criticized the sync function, saying, “You need a Wi-Fi connection, the phone has to be locked, and connected to a power source. This is how you backup your phone using wi-fi (not sync). When I purchased this app I was looking for an independent syncing operation.” This seemed like a non-issue to me, but your mileage may vary. If you love journalling and have a bit of a literary bent, you will really appreciate how Safe Diary protects your writing while also making your private work look eye-catching and polished. After all, just because you are the only person who will ever set eyes on your private diary doesn’t mean it isn’t worth gussying it up a bit. If you’ve got 5 bucks to spare, check this handy iPhone app out! Safe Diaryis compatible with iPhone 3GS, iPhone 4, iPhone 4S, iPhone 5, iPod touch (3rd generation), iPod touch (4th generation), iPod touch (5th generation) and iPad. Requires iOS 5.0 or later.